The DAB+ experiment in Rijswijk and Zoetermeer was stopped yesterday. 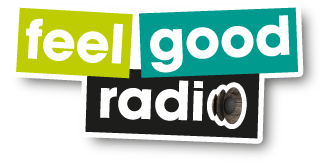 In July 2017, Feel Good Radio decided to take part in the national experiment to find the best way for local channels to use DAB. Indoor reception of the channel was not sufficient in many cases. Government questioned about DAB and secret agreements. Radio Metro tries to resist switch-off. The national channels have now switched-off FM, but the political part of the process is far from over. After a year of overwhelmingly negative opinion, especially in daily press and social media, the government politicians have now started reacting. Written questions were sent to the Minister of Culture about DAB. MP Hege Haukeland Liadal (Social Democrats) asked: Can the Minister of Culture inform about the total development cost of DAB has been as of December 1 2017 compared to the costs the alternative to maintaining and upgrading of the FM network? "The People's Crushing DAB Verdict"
Widespread resistance to the DAB transition. During the year, FM transmitters for national radio broadcasters have been closed district by district. Today, the last closed in Troms county in northern Norway. Now on the FM band you can only listen to local radio, cross-border radio from Sweden and pirate radio. 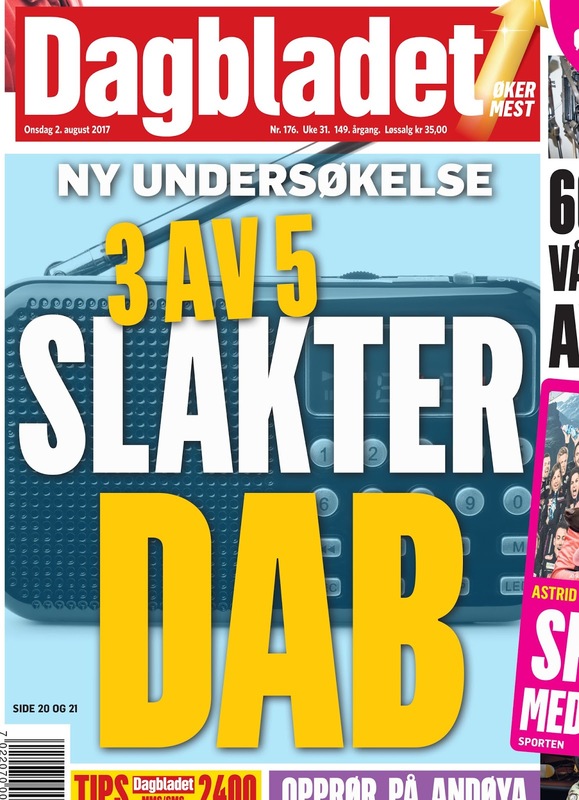 Today, the Oslo daily Dagbladet published an opinion poll by Ipsos, which shows that 56 percent are dissatisfied with the transition to DAB. 31% are satisfied and 12% do not know. This is an insignificant change since Ipso's measurement last summer when 60% were dissatisfied and 24% satisfied. New 2 Megawatt NX2000 medium wave system is now on air. 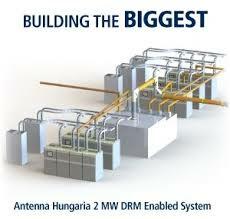 Broadcast provider Antenna Hungaria’s new Nautel 2 Megawatt NX2000 medium wave system is now operational. 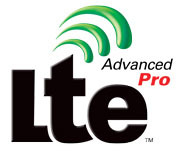 Located at the broadcaster’s transmission facility near Solt, U.S. manufacturer Nautel says the project, involved large infrastructure changes at the site as well as installation of the new transmitter. The new solid-state Nautel system replaces a custom-built tube transmitter that had been in use for 40 years. Now, Hungarian national radiochannel Kossuth Rádió will reach over the air in all of Europe. The Dutch radio station Efteling Kids Radio has abruptly stopped its broadcasts on DAB+.The radio station remains available via the analogue and digital cable. In addition, the radio station is on-line. With the disappearance of Efteling Kids Radio, another station disappears from the DAB+ offer. Earlier this year, Retro Hits, Arrow Classic Rock and Classic FM have disappeared from the digital ether. The media authority National Electronic Mass Media Council (NEPLP) has evaluated the results of the DAB + standard test of digital sound terrestrial broadcasting in the region of Riga, carried out by the State Radio and Television and decided not to continue this testing, nor to support the introduction of digital sound broadcasting DAB + in Latvia for the next five years. NEPLP has been taking into account a number of aspects, including the long-term effectiveness of the standard in question, the benefits to society of the costs of implementing this standard, as well as the potential impact on Latvian broadcasters and the advertising market. U.S. media authority FCC chairman Ajit Pai wants Apple to turn on the FM radio that’s hidden inside of every iPhone. He asked that Apple reconsider its position, given the devastation wrought by Hurricanes Harvey, Irma, and Maria. Apple said Pai’s request wasn’t possible for its newest phones. iPhone 7 and iPhone 8 models do not have FM radio chips in them nor do they have antennas designed to support FM signals, so it is not possible to enable FM reception in these products, an Apple spokesperson said in a statement. The Norwegian Communications Authority (Nkom) has been given the cold shoulder when trying to discuss alternative use of the FM band with colleagues in other countries. At the conference Frequency Forum in Oslo on September 20 a message killed the hope that the band will be used for other community or commercial purposes if Norway completely switches to DAB 2022. EBU Report Challenged: Is DAB Best Choice for Radio Distribution? The EBU has presented a study using a model country based on the statistics available from the five principal countries (France, Germany, Italy, Spain and the UK). FM emerged as the most expensive distribution platform. Digital transition to DAB would lower the budget required for distribution, permitting greater investment in content production and employment according to the report. However, an analysis show that there are a lot add before drawing such conclusions. Crucial technical variables and added values with Internet distribution is not considered in this study. Enforced technology change is being questioned by citizens. Can listeners trust the public broadcaster? 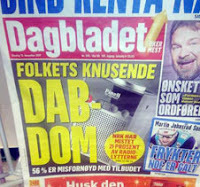 The opposition to replace FM for the national networks with digital DAB+ technology was apparent already a few years before the final decision of the Storting 2016. As the FM shutdown is currently in progress an analysis indicates that public radio NRK has reached a precarious position. 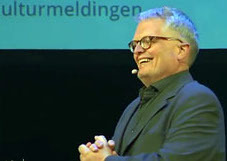 Appearing at international conferences publi broadcaster NRK and its lobbying arm Digitalradio Norge AS is trying to hide the negative facts of the Norwegian DAB fiasco. 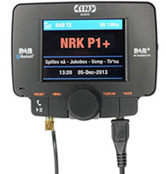 NRK switches to DAB with 14% lower listening rates than last year. Local FM radio the winner. LG is enabling the FM radio chip built in to its future smartphones. Smartphones are pretty impressive little devices, but there is one feature that has evaded several of them over the years — FM radio. Of course, that is not because of a lack of hardware — in fact, all smartphones actually have FM radios built right into them, but not too many manufacturers actually enable them. LG is changing that, through a partnership with NextRadio. Meanwhile the world's only smartphone with DAB+ is not the success hoped for. Massive Indian radio deployment with additional six high power DRM-enabled transmitters. Nautel Limited has shipped six additional high-power DRM-enabled Medium Wave transmitters for deployment at All India Radio, the largest digital broadcasting system in the world. Four 100 kW NX100 and two 200 kW NX200 transmitters were shipped to India in July 2017 for installation in six cities. AM the most resilient system to severe weather patterns. Fijians in all islands can now tune in to the recently installed and clearer AM (Medium wave) broadcast on two main radio stations. Through this upgrade Fiji had now achieved a 100 per cent coverage for all outer islands. The new transmission $15 million facility is managed by Fiji Broadcasting Corporation and funded by the government of Japan will air programmes on both Radio Fiji One and Gold stations. switchover has increased. An increasing number of people question the ten year decision-making process that led the politicians to the internationally unique decision to close the FM network. The Office of the Auditor General (OAG) has now received a request for review of the parliament (Stortinget) decision on the FM closure. All present 103 licenses to broadcast commercial FM radio expires on 31 July 2018. It is now possible to apply for new licenses at the Swedish media authority for an upcoming 8 years license period (1 August 2018–31 July 2026). Three national broadcasting licenses and 35 regional/local licenses in 21 regional broadcasting areas are announced. Increased space for radio and television in mobile networks in Norway. According to statistics from Ookla, Norway has now the world's fastest mobile network. After hard competition between operators Norway has gone from 11th place to first place in one year. The average data rate on mobile has increased by 69% and now stands at 52.6 megabits per second. - Telenor, Telia and Ice.net have recently invested billions in the development of their 4G/LTE networks reaching all Norwegians. Moreover, the geographical coverage is better than for terrestrial radio as DAB+. A digital terrestrial radio project became a seven year fiasco. Public broadcaster RTHK will formally pull the plug on final digital radio services on September 3. Its analogue FM radio service will remain. The Commerce and Economic Development Bureau said in a press release However, the retreat of the three commercial DAB operators in a short period of time due to difficulties in their operation and the lack of a critical mass of audience demonstrated the exhaustion of interest in the services. Analogue radio is still the backbone for terrestrial broadcasting. "3 out of 5 slaughter DAB"
Popular resistance to FM closure bids for upcoming political problems. 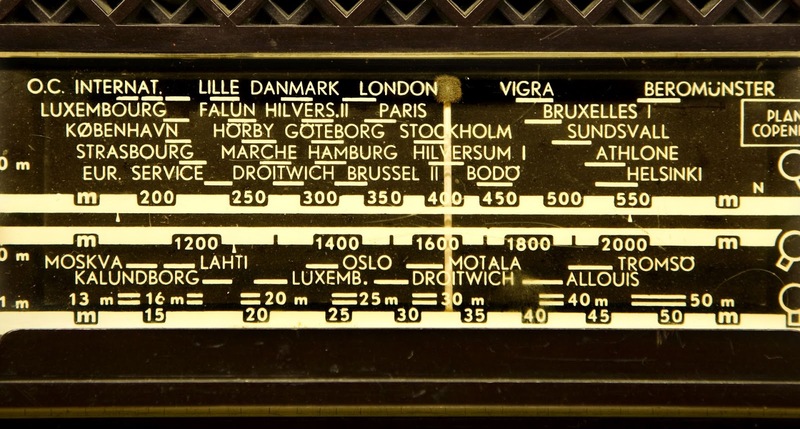 As the first and still only country in the world Norway is trying to replace FM radio with DAB+ by forcing the listeners over to this technology. This might end up as an embarrasing mistake by the politicians. According to a survey commissioned by the newspaper Dagbladet, as many as 60 percent of the radio listeners are not satisfied with the transition to DAB. 16 percent said they do not know what they like about the transition, while 24 percent are satisfied. Dissatisfaction is widely distributed across the country. Also in areas where public broadcaster NRK has not yet closed the FM transmitters. Apple is outpaced. 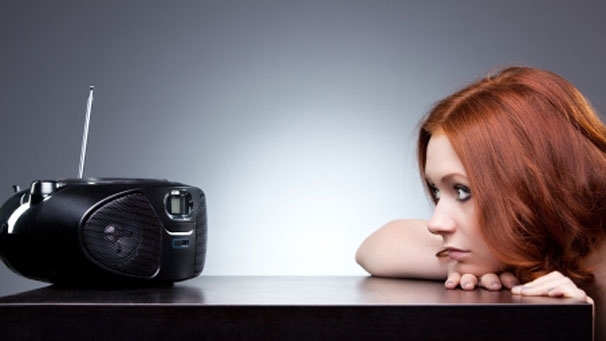 Broadcasters should beware of a changing music consumer pattern. The Swedish company Spotify has added 20 million paid subscribers in less than a year, while it’s taken Apple Music more than a year and a half to make that progress. Spotify now has 60 million subscribers, compared to Apple Music’s 27 million. Together with the ad-supporter free service the total listening base for Spotify worldwide now is 140 million. Kids are still listening to the radio. But radio’s future is multiplatform. Smartphones and tablets on top. The latest British study published by RAJAR in addition to the quarterly radio figures, is the Junior Audio Measurement Joint Audience Research(JAMJAR). 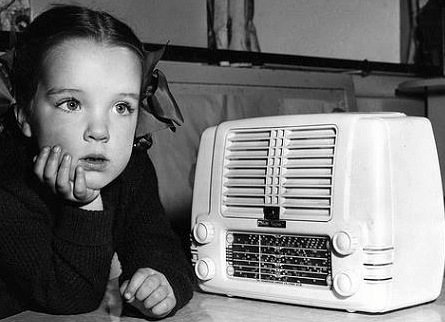 74% of British kids 9-14 yrs listen to radio every week. But 60% listen to the “radio through radio” (AM and FM), as the research quaintly puts it, for a average of 10.7 hours a week. Radio Norway loses half of its listeners. But all three nationwide losers. Continued DAB resistance. 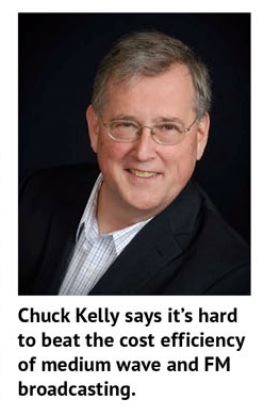 Many switch to local radio on FM. The major radio channels is losing thousands of listeners when the FM network is step by step switched off. Nevertheless, the FM switch-off still remains in popular Oslo and Akershus County. For the country's major channel public service NRK P1, daily coverage fell by eight percent - from 1,517,000 in week 24 last year to 1,394,000 in the same week this year. The listeners leaving the NRK main channel have probably switched to FM local radio and on-line. Successful frequency planning prior to licensing period 2018-2026. The Post and Telecom Agency (PTS) has presented a new frequency plan for the FM band for commercial radio in Sweden. This will provide more frequency radio resources and creates new opportunities for national, regional and local commercial broadcast areas. Current FM radio broadcast licenses will expire on July 31, 2018 and new eight-year licenses will be announced. Prior to this, PTS has been commissioned by the government to develop a new analogue commercial radio frequency plan which now will include 380 frequencies on the FM band besides frequencies assigned for public and community radio. FM retained in a new local radio landscape for another 10 years. The radio and television committee has now allocated 368 new broadcasting licenses on the FM band for commercial and non-commercial local radio (community radio). The licenses will be running from 1 January 2018 until 31 December 2027. This indicates that an FM switch-off will probably not be on the agenda in Denmark for a long time, if ever. A multi-city DAB digital radio multiplex is closing after lack of interest from the independent radio sector. The multiplex by dB currently carries services by public broadcaster RTÉ and a number of niche stations – namely Maria, Sunshine, Ri-Ra and RTÉ lyric. Previously, the mux has offered All 80s, All 90s, Zenith, Pure Classic, Love Radio, Amazing Radio and UCB. 105.1 MHz and DRM was placed at 105.25Mhz. The current analogue transmitter had a power of 5kW in analogue. 2.5kW was used for simulcast mode (FM and DRM) and only 0.2KW DRM power was utilised. Excellent coverage area was achieved with only 10% of analogue power. The last two months experimental DRM transmissions were resumed by Brazilian public broadcaster EBC from the Rodeador Park, where the Rádio Nacional transmission facility is located. Despite the low power (130 W) used the DRM30 HF signal being audible in quality in the Sao Paolo State at about 800 km away from the transmission site in Brasilia. The audio of the Amazon National Radio was received there in excellent digital quality. Turms Tech LLC has applied to the media authority FCC to broadcast DRM from New Jersey toward Europe and the Middle East. Specifically, they plan on using the Armstrong tower, just west and north of New York City, with yagi-type antennas, generating an ERP of 10 kW on 9.65 and 15.45 MHz. 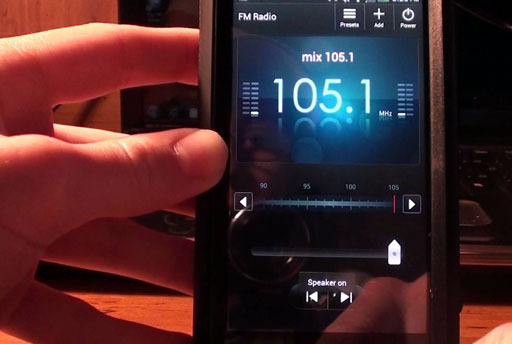 First Country to Rule Unlocking FM Radio on Smartphones. Advertisers welcome Mexico’s decision. Will combine linear audio with the interaction of digital platforms. 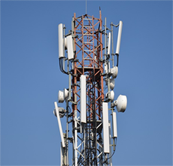 Federal Telecommunications Institute now requires all smartphone manufacturers to enable the technology that allows the device to pick up FM radio signals. Move came after months of pressure from National Chamber of Radio and Television Industry (CIRT). Mexico is the first country in the world to enact such legislation. National radio has lost many listeners in the last two years. 2 of 3 cars not DAB-able. transmitters. In week 21, total listening was only 62.9% according to Kantar TNS measurements. This is the worst week of the year with the exception of Easter week. Week 21 2015, the total radio listening rate was 70.9% in week 21 and the same week 2016 69.0%. Public radio is the big loser, while local radio is not included in this poll. Local radio stations in the counties Møre og Romsdal are pleased that NRK has recently switched off their FM transmitters. They also report that advertisers are now delighted that local stations are gradually becoming the only ones that broadcast on FM in respectively area. Recently the public broadcaster All India Radio successfully completed phase-I of the national DRM digital radio roll-out – the installation of 37 DRM transmitters, now operational, throughout the country. As part of Phase II of the DRM introduction in the country, All India Radio is demonstrating the full complement of services which are part of the DRM30 standard using the AM band (Mediumwave). The authorities have now confirmed that there are no plans to close down the FM network 2022 according to the Norwegian Local Radio Federation. Only national channels will close their FM transmitter 2017, while most local radio stations have permits to broadcast on FM until 2022. It has been unclear if the local radio will continue on FM after that date. In a letter from the Ministry of Culture to the EFTA Surveillance Authority ESA, it is clear that there is no decision on what will happen to FM radio after 2022. National channels closing 2000 transmitters in Norway. What's happening to the FM band? Besides local radio and Swedish broadcasting no other demands today. Not much happens yet with the FM band, according to chief engineer Tore Lunestad at the Telecom authority Nkom lecturing at the National Local Radio Federation's conference in Stavanger. When the national channels close their FM transmitter in 2017, many available frequency resources are released in Norway. Among other things, public radio NRK has almost 1200 transmitters and private Radio Norge almost 700. All of these and some more will free new frequencies for, among other things, local radio. And the Swedes are keen to get a slice of the cake. Federal Ministry of Economics and Energy (BMWi) is working to promote digital radio services by mandating certain features in new radios. 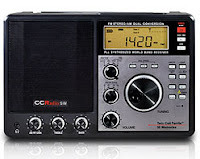 The draft recommendation suggests that high-quality radio receivers may only be sold if they are suitable for the reception of standards-appropriate digital signals. Whether that interface is DAB + or Internet does not matter. 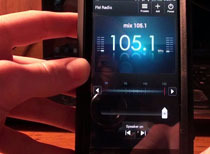 Smartphones will not be affected as online radio listening is already digital. Last week, BBC Radio 3 and BBC R&D launched what they believed is another world-first for a classical music radio network: audio delivered directly to your web browser with completely lossless compression. Together various technologies including MPEG DASH, FLAC compression, HTML5 and the Media Source Extensions offer a bit-perfect representation of Radio 3's live output, exactly as it left the studio. Radio 3 makes considerable investment in music performance and technical excellence, and this pilot enables the most transparent listening experience possible according to the BBC. Lobby organisation is trolling on the net according to think tank. WorldDAB has published the latest version of its infographic featuring DAB receiver sales, coverage and household penetration for markets in Europe and Asia Pacific up to the end of 2016. TheWorldDAB presentations have a catchy layout and look reliable. But the Swedish think tank Public Service Council (PSR) warns readers to beware as crucial facts are often omitted. A total of 50 million units sold should also be presented with a consideration that it is long way to go before DAB+ will come even close to the figures for the two major global radio listening platforms. There are an estimated 6 billions of FM receivers in the world and 2,5 billions of smartphones. The public broadcaster Radio & Television Hong Kong will terminate its five channels digital audio broadcasting (DAB+) in about six months. The decision was made after the Executive Council approved the complete discontinuation of DAB in Hong Kong due to weak market demand. Thus HK government is pulling the plug of the only remaining DAB+ broadcasting by RTHK. Public broadcaster admits DAB+ is not quality improvement. A widespread myth about DAB is now killed. 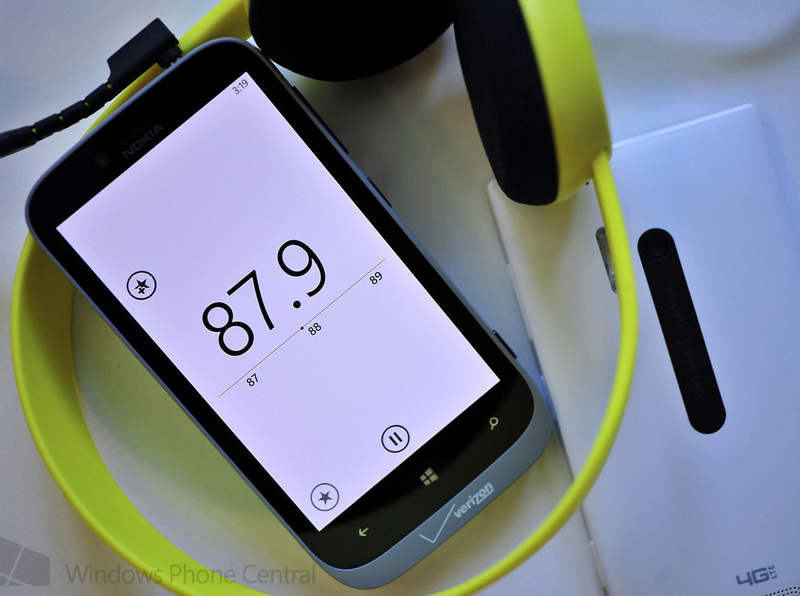 Recent arguments against DAB+ is that the sound quality not as good as FM. The magazine Stereo + has now tested the sound quality using professional equipment at the public broadcaster NRK. They tested DAB+ with different bit rates 24-128 kbps. With 128 kbps AAC good results in relation to the reference CD quality 192 kbps MP2. However, noticeable difference in that which is most common in the DAB network 96 kbps AAC SBR with deterioration. It will also send 48 and 32 kbps, but it does not work for music. The public broadcaster will find it difficult to escape a major flop. 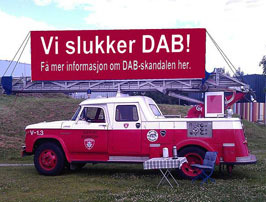 - Norwegian truck drivers experience downgraded reception with DAB. On January 11th there was a big fuss as Nordland was the first fylke (county) to turn off the FM network for nationwide radio - and this is the first time a fylke was able to listen to public broadcaster NRK only via DAB+. This has now led to dramatic consequences. Before FM switch-off listened 74 percent of the inhabitants of Nordland on the radio. After switch-off only 64 percent. 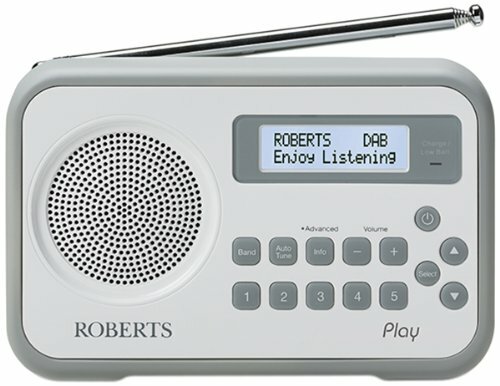 Almost each seventh listeners thus have stopped listening to the radio with DAB as the only option. Just a few of the DAB adapters allow traffic messages to interrupt in-car listening warns motorist organization NAF. This is a well-known feature of FM radio. No matter what radio station you are listening to, listening to different music through the car stereo, or even have turned down the volume traffic information gets through if Traffic Announcement (TA) is turned on, says NAF communications consultant Nils Sødal. A dedicated traffic DAB channel is just a halfway solution.